My short story novella The Benevolence Archives, vol. 1 is currently available from Amazon.com for $0.99. Buying my book will make me love you and will bring you financial and emotional success! THE BENEVOLENCE ARCHIVES, VOL. 1 is a novella-length collection of six short stories set in a common universe. Combining elements of space opera-style science fiction and high fantasy, THE BENEVOLENCE ARCHIVES tell the adventures of Brazel, Rhundi, and Grond, a gnome/halfogre team of smugglers. THE PLANET IT’S FARTHEST FROM: A simple job in a saloon goes poorly for Brazel. THE CLOSET: Brazel and Grond are hired to teach someone why gambling can be a bad idea. YANK: Dwarven pirates. ‘Nuff said. REMEMBER: Brazel and Grond are hired by one of the galaxy’s most powerful people for a suspiciously easy job. THE CONTRACT: Rhundi tries to get through a simple business negotiation without anyone being shot. THE SIGIL: Brazel and Grond encounter something horrifying on a frozen rock in the middle of nowhere. 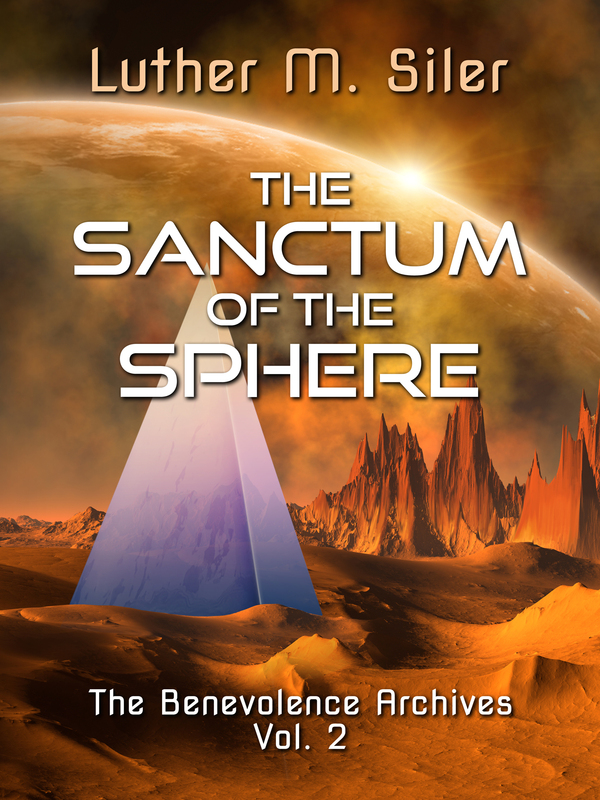 The second volume and first full-length novel in the BENEVOLENCE ARCHIVES universe is entitled THE SANCTUM OF THE SPHERE. The print edition retails for $14.95 and contains Benevolence Archives Vol. 1! “Go rob that train.” Nice, normal. An everyday heist. But nothing is ever normal for Brazel, Grond and Rhundi. What is happening on the ogrespace moon Khkk? Who are the Noble Opposition? And what is the secret of THE SANCTUM OF THE SPHERE? The latest volume in The Benevolence Archives: TALES, Volume 3! Just 99 cents as an ebook or $8.99 in print! Space gnomes! Halfogre chess masters! Adolescent amateur smugglers and angry dwarves with horns! TALES, Volume 3 of Luther M. Siler’s THE BENEVOLENCE ARCHIVES, returns the series to its short-story roots. Featuring eight all-new stories set in a universe sure to appeal to fans of both fantasy and science fiction, TALES expands the Benevolence Archives with stories of events set from the early days of our heroes’ careers to just after the events of THE SANCTUM OF THE SPHERE. I’m buying this now because I think I just exploded with joy just reading these descriptions. I don’t care how much it is. I’m intrigued by your stories, sir. I’ll let you know what I think after I read them! Thanks for the follow! Thanks! I hope you like the book! The first volume is free everywhere but Amazon, if you’d like to check it out.